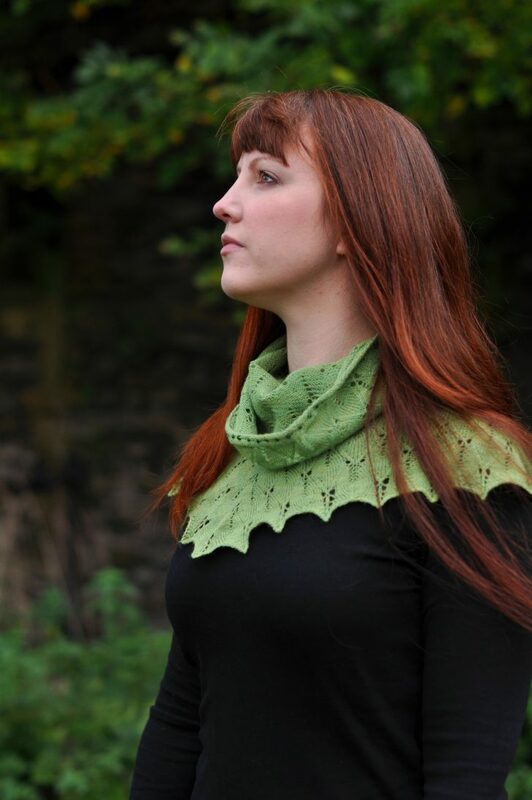 A beautiful lightweight cowl for cool days, Lady of the Wood offers stunning lace detail in a practical, easy to wear accessory. 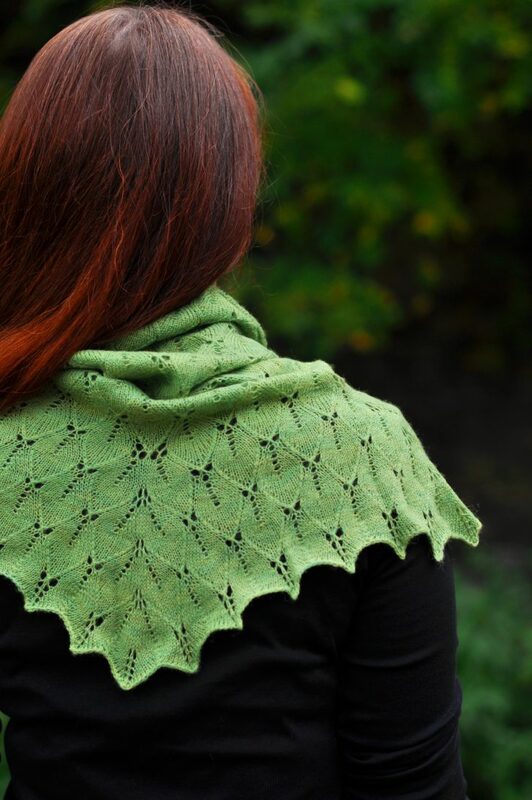 Lady of the Woood, and it’s sister pattern, the Lady of The Wood Mitts, are named after Galadriel, the ‘Lady of the Wood’ in the wonderful literature of J. R. R. Tolkien. One size fits all. The blocked wimple measures 65cm/25¾” in circumference at the narrowest point, and is 46cm/18½” long. Approximately 60–70g/520–620 metres/ 570–670 yards of 2ply laceweight wool with approximately 875m/950 yards per 100g. 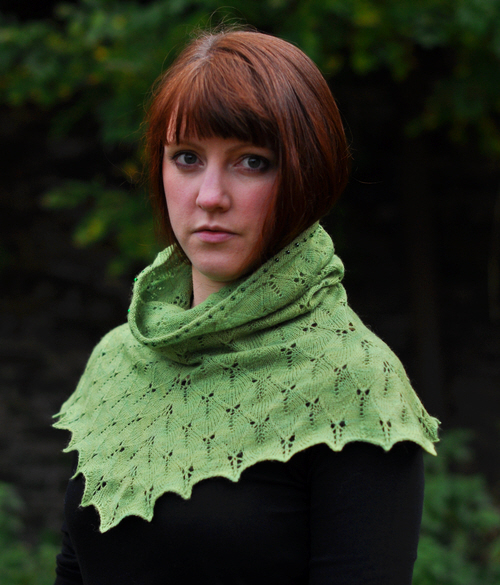 The pictured sample was made with hand-dyed 2ply pure lambswool. 48 size 6/0 seed beads. 40cm/16″ and 60cm/24″ 2.25mm/US 1 circular needles. 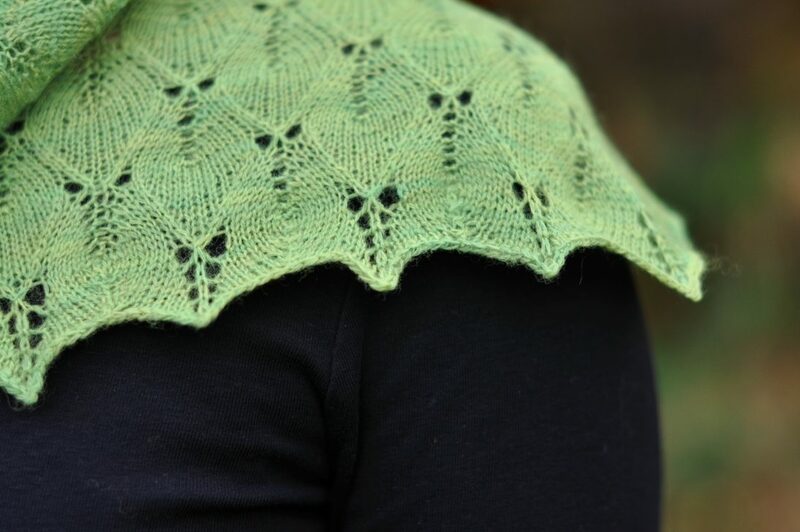 30 stitches and 44 rounds per 10cm/4″ in lace pattern after blocking. 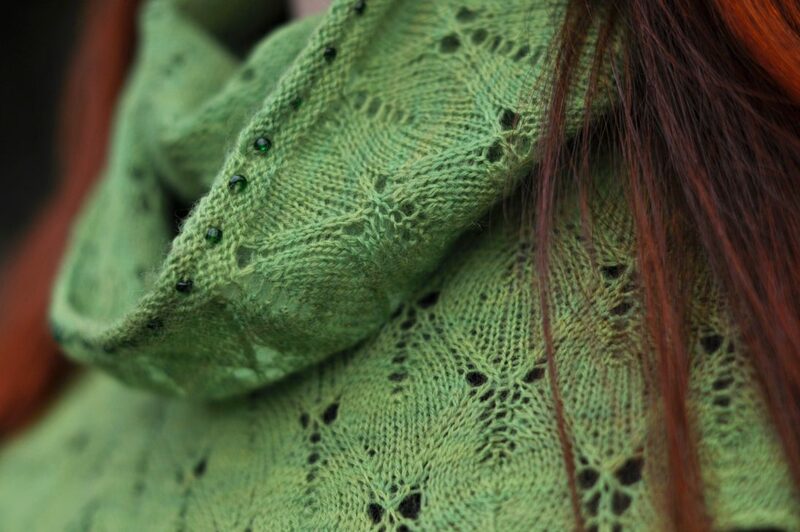 The Lady of the Wood Mitts pattern is also available in ‘Novel Knits‘ (see ‘Books’).